Have you ever seen a lower basketball rim to accommodate small children? How about a smaller soccer field with little nets? Kids need their sports to be kid-sized. 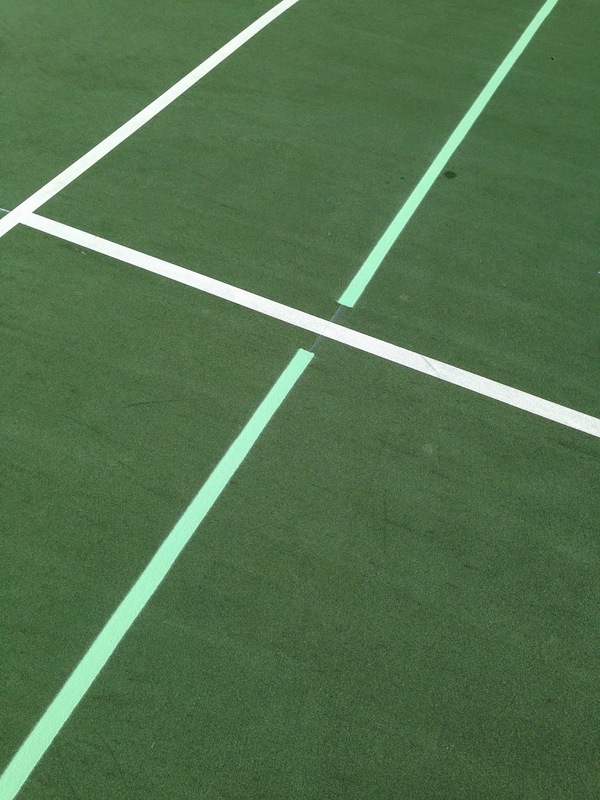 So why have tennis courts continued to be adult-sized for so many years? Smaller children ages 5-8 find quicker success using slower red-felt balls and portable lower nets on a court now designed for THEM as the the dimensions are only 36 foot long by 18 foot wide. Kids aged 9-10 can use the the additional 60 foot by 21 foot courts created by the new lines along with the existing nets and a lower-bouncing orange-felt ball. Shorter racquets sized to each child, along will all other equipment, are provided in all the Gloucester Twp. Recreation tennis programs. In a promotional USTA video, Patrick McEnroe, General Manager of Player Development said, “when the game fits, skills come faster, easier, and most importantly the kids have a lot more fun.” Even first lady Michelle Obama has endorsed the changes in youth tennis as a part of her “Let’s Move” initiative to give America a healthier generation of kids. For information on upcoming programs, contact Gloucester Twp. Recreation at 856-435-5734.